Kazakh woman in her tent, decorated for the celebration of Novruz Kurdish-Iranian new year. 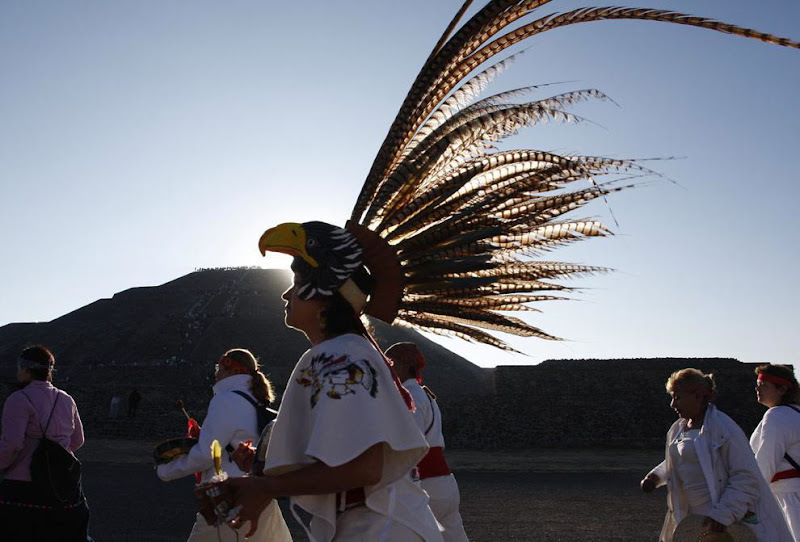 A Marine with U.S. opium poppy on a helmet. 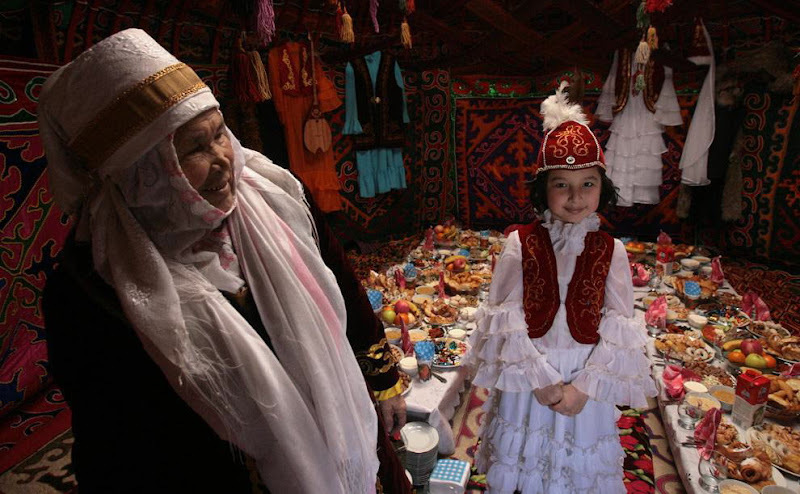 Near the town of Baqwa, Farah province in south-western part of Afghanistan. 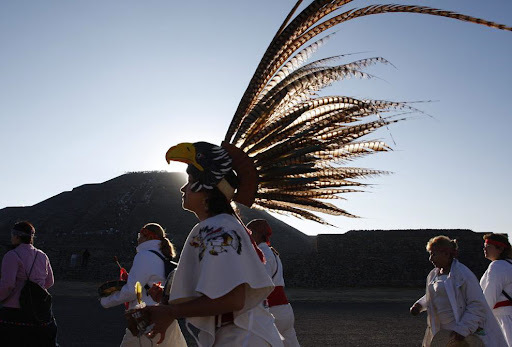 Dancing on the background of the pyramid of the sun during the celebration of the vernal equinox in Teotihuacan, Mexico. 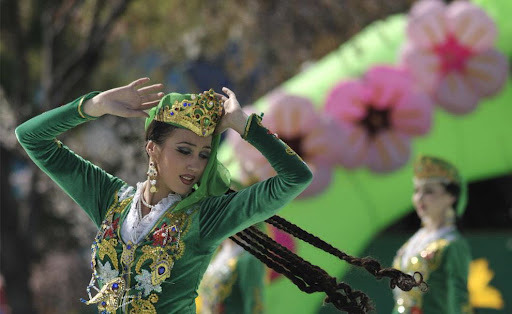 The dancers in national costumes during the celebrations in honor of Nowruz festival in Tashkent, Uzbekistan. 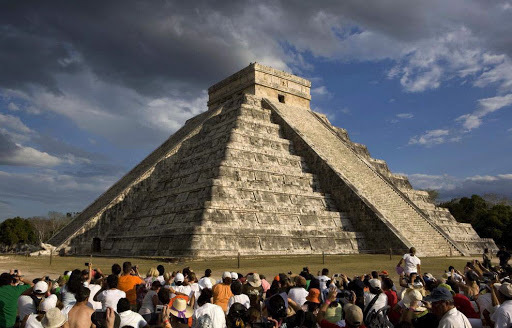 People celebrate the vernal equinox to the Pyramid of Kukulkan (or "El Castillo) at Chichen Itza, Mexico. 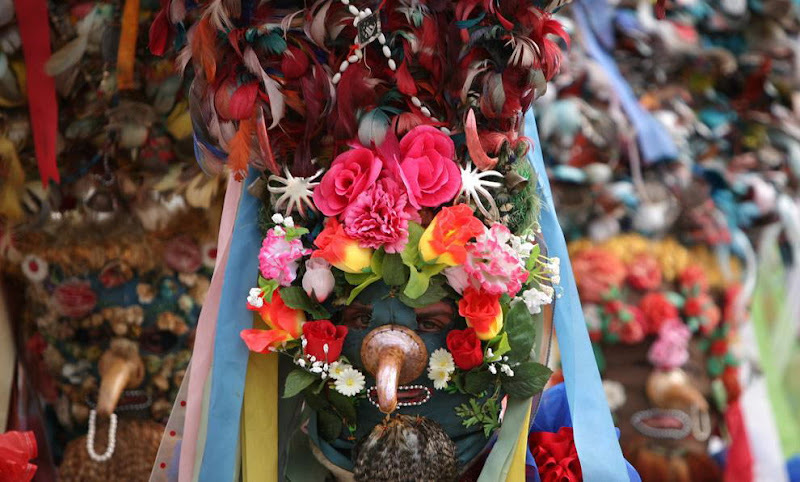 Dancers in traditional ceremonial masks during a holiday in the countryside Kalipetrovo, north-east of the Bulgarian capital Sofia. 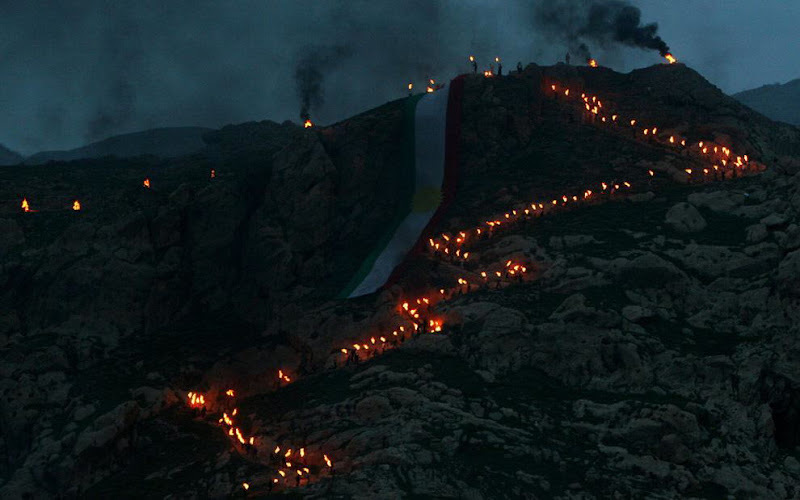 Iraqi Kurds have torches up the rocky hill, during the celebration of Novruz in the Kurdish city of Acre, 500 km north of Baghdad.